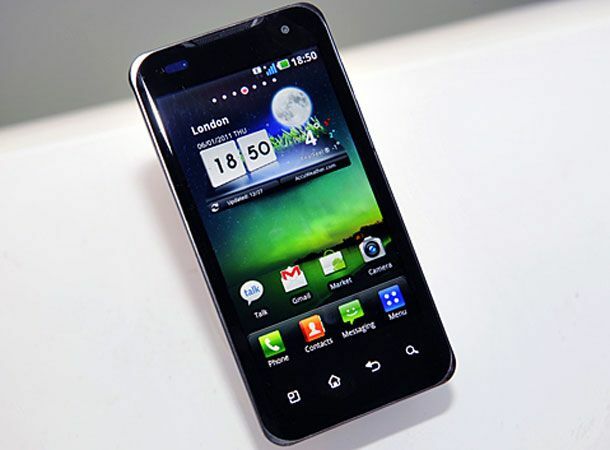 LG's new flagship Android handset and the world's first dual-core mobile handset the LG Optimus 2X is to launch in the UK on February 21st priced £500, online retailer Expansys has revealed. Available to pre-order now as a SIM-free device, the Optimus 2X was officially unveiled at the Consumer Electronics Show in Las Vegas last week with the 1GHz Nvidia Tegra 2 dual-core processor touting device taking the world's first title by a matter of hours. Motorola followed the LG unveiling by outing its own dual-core bragging handset the upcoming Motorola Atrix later the same day. Thanks in part to its vamped up processing power the LG Optimus 2X is also the first handset to offer full HD 1080p video recording and playback capabilities, trumping the fleet of 720p capable handsets that dominated the mobile market in 2010. Set to ship with Android 2.2, FroYo, pre-installed, with a 2.3, Gingerbread, upgrade already announced, the Optimus 2X's impressive spec sheet is rounded off with the inclusion of a 4-inch WVGA touchscreen display, 8GB of built-in storage and the full array of connectivity options. Official release dates, pricing and network carriers for the Optimus 2X have yet to be announced by LG. Will dual-core processor touting handsets rule the mobile world in 2011? Let us know what you think via the T3 Twitter and Facebook feeds.